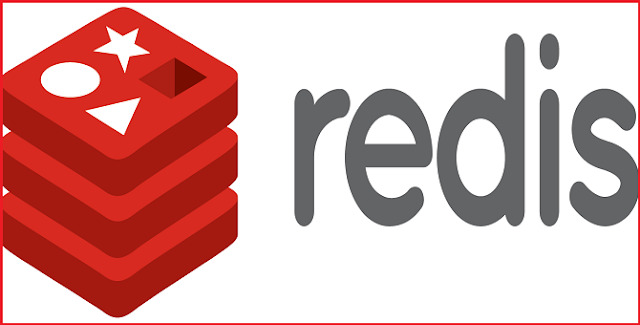 Redis is an open source key-value cache and storage system, also referred to as a data structure server due to its advanced support for several data types, such as hashes, lists, sets, and bitmaps, amongst others. It also supports clustering, making it useful in highly-available and scalable environments. The session handler is responsible for storing and retrieving data saved into sessions. By default, PHP uses files for this. This works well enough for a single server, but has some significant performance and scalability limitations because the session information is tied to a single server. An external session handler provides a central location for shared session data that can be used by multiple application servers. This is important when creating scalable PHP environments behind a load balancer because the same session data will be available regardless of which application server serves an individual request. In this guide, we'll walk you through the steps to install and configure an external Redis server to be used as a session handler for a PHP application running on Ubuntu 16.04. A PHP web server running LAMP or LEMP on Ubuntu 16.04. We will refer to this server as web. A second, clean Ubuntu 16.04 server where Redis will be installed. We will refer to this server as redis. You'll need to have a non-root user with sudo privileges configured on each of these servers. We will also assume that each of the servers has a basic firewall running. Our first step will be to install the necessary software on both of our machines. Our redis machine will need a Redis server. On our web machine, we will install the Redis PHP extension for session handling and the Redis command line client for testing. The first thing we need to do is get the Redis server running on our redis machine. We will be using the regular Ubuntu package manager with a trusted PPA repository provided by Chris Lea. This is necessary to make sure we get the latest stable version of Redis. Note: As a general piece of security advice, you should only use PPAs from trusted sources. This will connect to the Redis instance running on localhost on port 6379. You should get PONG as the response. Next, install the Redis command line client and the Redis PHP extension on the web server. We will be using the command line client to easily test connectivity and authentication. We will use the PHP extension to store our session data. You should now have access to the redis-cli tool, although you do not yet have access to the server to test. By default, Redis only allows connections from localhost, which basically means you'll only have access from inside the server where Redis is installed. We need to change this configuration to allow connections coming from other servers. Redis offers no native encryption options and assumes that it has been deployed to an isolated network of trusted peers. This means that to securely allow external connections, either both servers must be on an isolated network or you will need to secure the traffic between them in another way. If your servers are operating in an isolated network, you probably only need to adjust Redis's configuration file to bind to your isolated network IP address. Redis is now be able to accept connections from your isolated network. Tunneling with stunnel: You will need to set up an incoming tunnel on the redis server and an outgoing tunnel on the web server. The web server will connect to a local port to communicate with the remote Redis service. Tunneling with spiped: The web server should function as the spiped client machine. You will need to create a systemd unit files on each server. The web server will connect to a local port to communicate with the remote Redis service. Setting up a VPN with PeerVPN: Both servers will need to be accessible on the VPN. The web server will be able to access the redis server using its VPN IP address. Using one of the methods above, configure secure access from your web server to your redis server. You will need to know the IP address and port that your web machine will use to connect to the Redis service on the remote machine. At this point, you should be able to access your Redis server from the web server securely. Your Redis server should now reject unauthenticated requests. To test if your changes work as expected, connect to the Redis service from the web machine. By default, the Redis server listens on 6379 on the local interface, but each of the network security options we covered above modifies the default in some way for external parties. We can use the redis-cli client with the -h option to specify the IP address and the -p option to specify the port needed to connect to the remote service. You can leave out either of these if they use the default options (127.0.0.1 and 6379 respectively). You should be able to connect to the remote Redis instance from the web server. You should get an OK as response indicating that your credentials were accepted. This output just means your Redis server is empty, which is exactly what we expect. The web server is not yet configured to use this Redis server as a session handler. Now that we've verified that we can connect successfully with authentication, we can make Redis our default session handler. Now we need to edit the php.ini file on the web server to change the default session handler for PHP. The location of this file will depend on your current stack. For a LAMP stack on Ubuntu 16.04 installed from the default repositories, this is usually /etc/php/7.0/apache2/php.ini. For a LEMP stack on Ubuntu 16.04, the path is usually /etc/php/7.0/fpm/php.ini. If you've verified that one of these locations is correct, feel free to skip the next section. Look for the row containing "Loaded Configuration File", and you should find the exact location of the main php.ini loaded. Now that you know where the file is located, you can move onto editing. Open the php.ini file for editing. If you discovered a different path using the phpinfo() method outlined above, substitute that path here instead. Inside of the php.ini file, search for the line containing session.save_handler. The default value is files. Change this to redis to use the Redis PHP extension. Next, find the line containing session.save_path. You will need to uncomment it and change the value so it contains your Redis connection string. Save and close the file when you are finished. Next, restart the PHP service to implement your changes. PHP should now be configured to use Redis as the session handler. To make sure your sessions are now handled by Redis, you will need a PHP script or application that stores information in sessions. We are going to use a simple script that implements a counter. Each time you reload the page, the printed number will be incremented. //simple counter to test sessions. should increment on each page reload. It should increment the number you see each time you reload the page. This shows that the session information is being stored on the Redis server. You can connect additional web servers to the Redis server for centralized session management. Redis is a powerful and fast key-value storage service that can also be used as session handler for PHP, enabling scalable PHP environments by providing a distributed system for session storage.